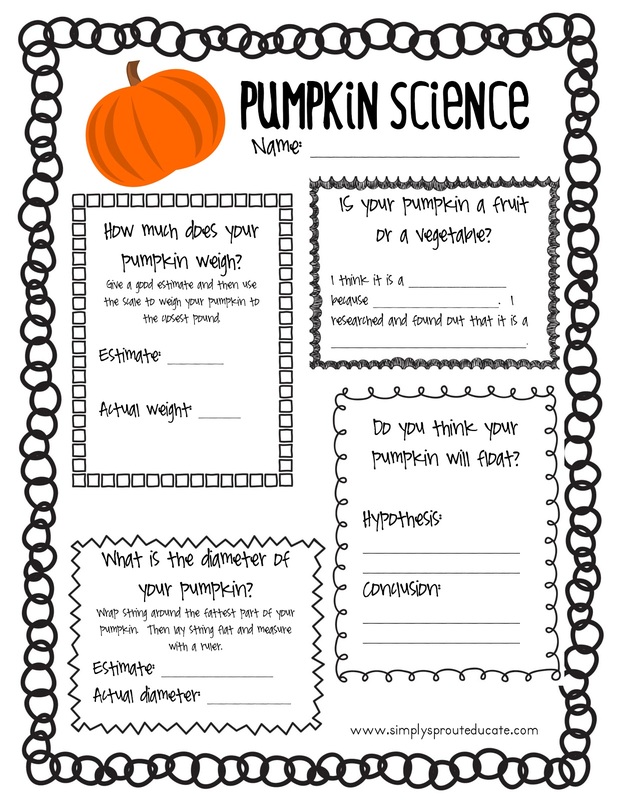 Pumpkins aren't just fun to carve, they can be a fun science activity too! 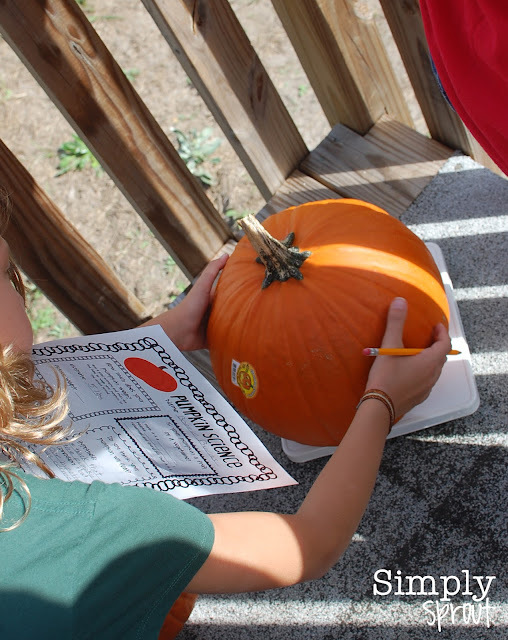 Yesterday we headed outdoors to do a little pumpkin investigation with our science buddies. What a great way to make pumpkin picking an educational activity. Use this free printable as a guide for a fun math and science activity! Happy weekend to you!